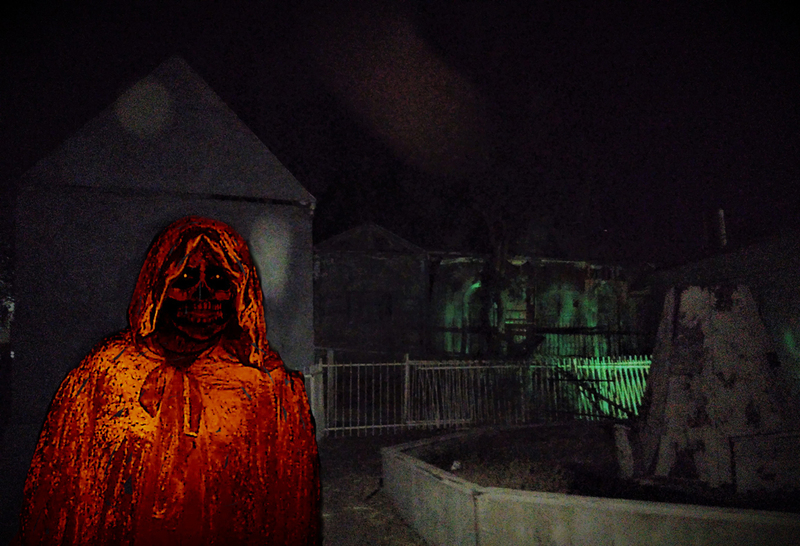 This haunt in Corona benefits from the isolated, rural area, which adds a realistic level of atmosphere. Though not as elaborate as the big Halloween theme parks, Coffin Creek offers an entertaining variety of haunted attractions; highlights are Catacombs of Guasti Cemetery and the Haunted Asylum. 2018 Hours: 7:00pm to midnight on Fridays & Saturdays; 7:00-10pm on Sundays and Halloween Night. Gates open at 6:30pm; box office opens at 6:45pm. 2018 Attractions: The Haunted Asylum of Coffin Creek, The Catacombs of Guasti Cemetery, the Prado Witch Trail, Shady Hollow Hayride, The Dark Realm. Tickets: $15 for a single maze, $39 for all five, and $59 for fast-pass admission to all five. The Coffin Creek Halloween haunt is a multi-faceted attraction in Corona, featuring walk-through haunted houses, an outdoor trail, and a hayride, along with vendors and other entertainment in the the Pandemonium Magic Show and the Dark Shadow Market Place. Dates and times are subject to change without notice, so check before driving to Corona. Coffin Creek is not recommended for children under 12. 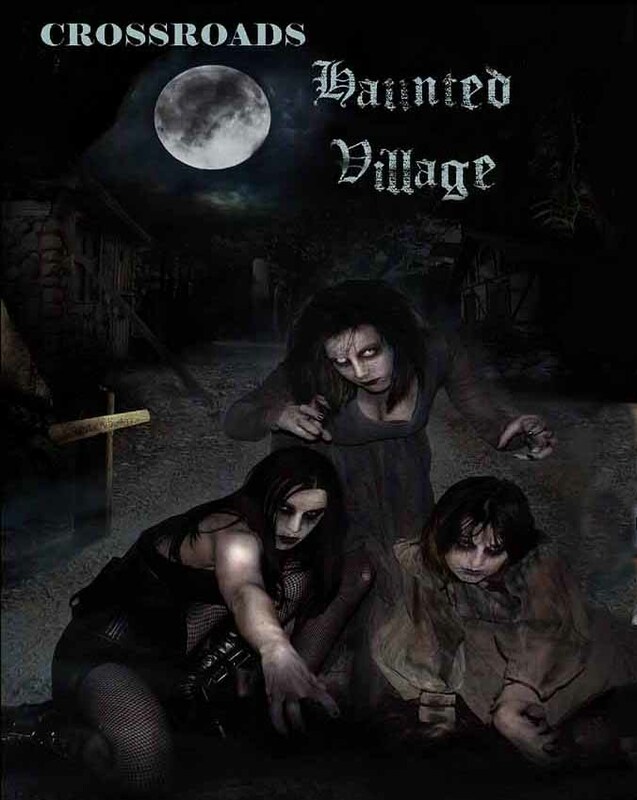 Coffin Creek Halloween Haunt was briefly known as Crossroads Haunted Village. After going on hiatus in 2015 (due to the death of the park's owner), the haunt returned in 2016, once again using the Coffin Creek moniker. The attractions, which had previously been independently owned and operated, were now under single ownership; Figment Foundary, the company that had created the excellent Chambers of the Mausoleum and the Labyrinth of Lost Relics, was no longer involved. Consequently, only three attractions were in operation that Halloween: the Haunted Asylum of Coffin Creek, the Catacombs of Guasti Cemetery, and the Prado Witch Trail. In 2017, Coffin Creek once again expanded to five attractions, adding The Dark Realm and the Shady Hollow Hayride. One of the exterior sets at Coffin Creek’s Catacombs maze. A demon in Chambers of the Mausoleum at Crossroads Haunted Village.